Hi everyone! 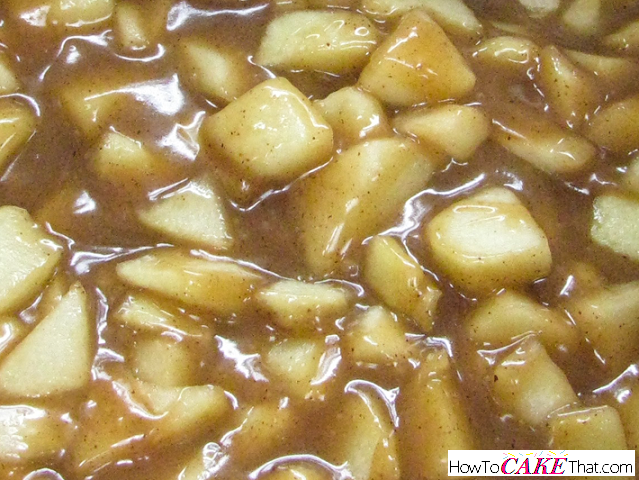 Today I am going to share my most favorite apple pie filing recipe EVER!! You may be wondering why I gave this apple pie filling such a name. Well, I'm gonna tell you; Every time I make apple pie with this filling I get RAVE reviews and comments... and this apple pie filling recipe was named after a voicemail I had received from a friend who called to tell me how good it was. His exact words were: "This apple pie is OFF THE HOOK baby girl!" So, thank you Bobby for naming this pie filling. :) Typically I cook this pie filling right in the pie crust, but today I'm going to teach you how to cook it on the stove so you can use it to fill cupcakes! 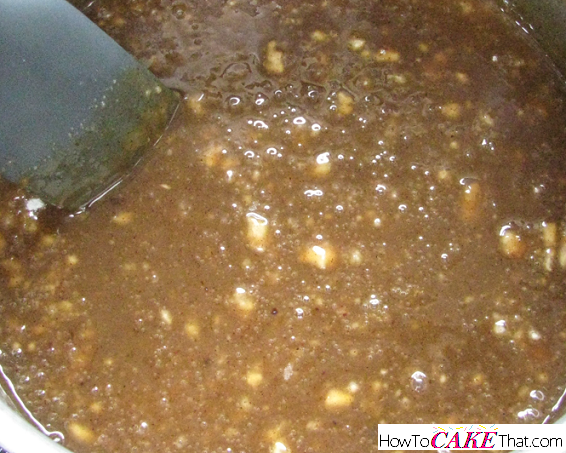 I baked some cupcakes yesterday and filled them with this pie filling and they were to die for! This recipe requires a little work, but it is so worth it! 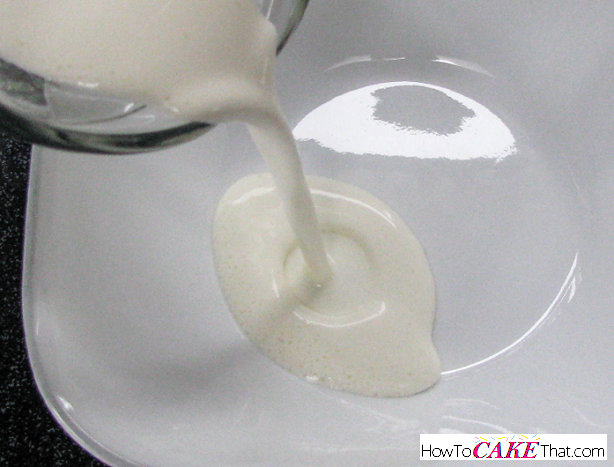 To begin, pour 1/4 cup (2 oz) of heavy whipping cream in a bowl. 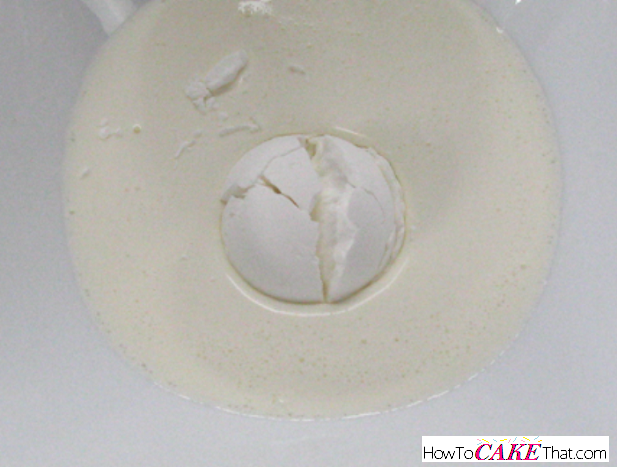 Next, add 1 tablespoon of cornstarch to the bowl. 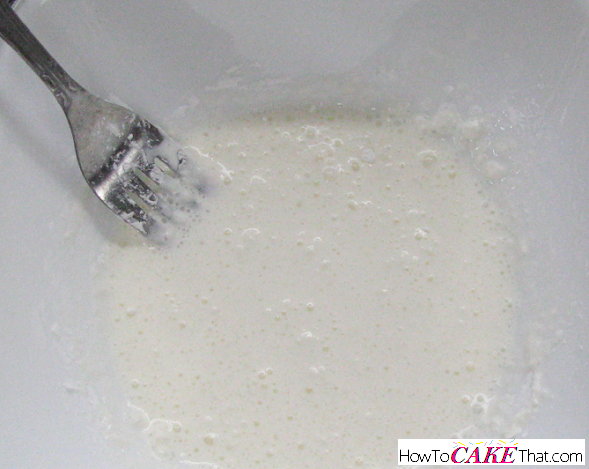 Use a fork to mix the whipping cream and cornstarch. Set bowl aside. 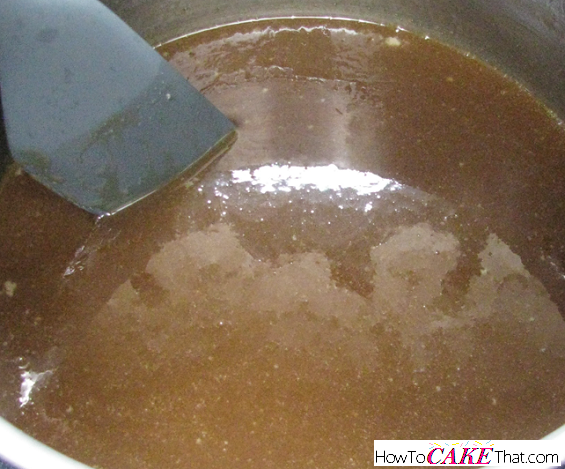 Next, add 1/4 cup of light brown sugar and 1/4 cup of dark brown sugar to a medium saucepan. 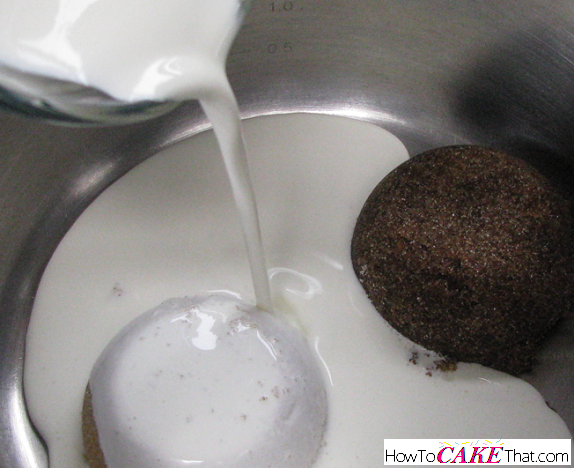 Add 1/2 cup of heavy whipping cream to the saucepan. 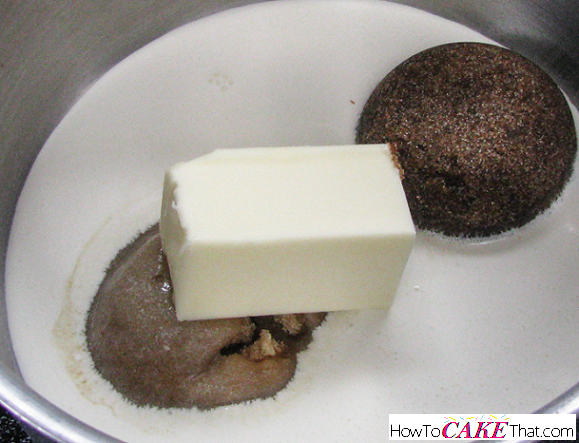 Add 1/2 stick (1/4 cup) of salted butter to the saucepan. 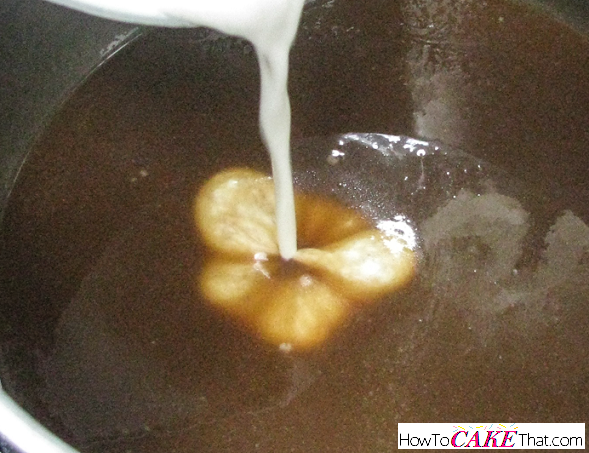 Cook ingredients over medium-low heat, stirring constantly, until butter is melted and ingredients are hot. 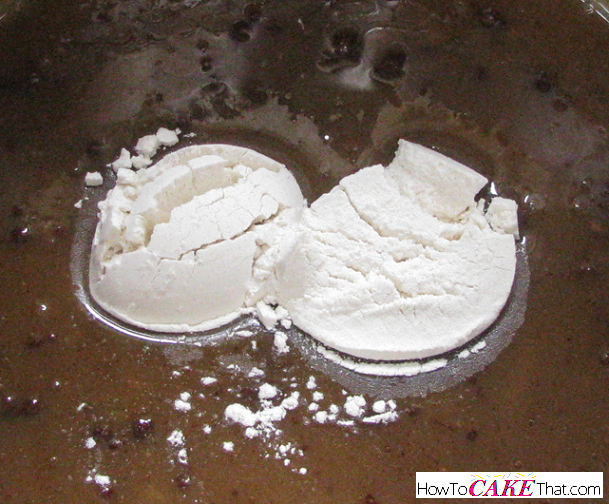 Add the whipping cream and cornstarch mixture to the saucepan and continue cooking for 4 more minutes, stirring constantly to keep sugars from burning. 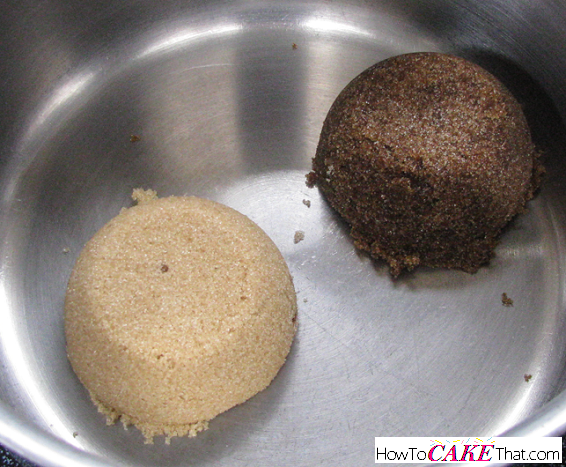 Remove saucepan from heat and set aside. While sauce mixture is resting, it's time to prepare the apples. For this recipe I like to use two tart apples, and 1 sweet. My apples of choice are two Granny Smith apples, and 1 Red Delicious apple. 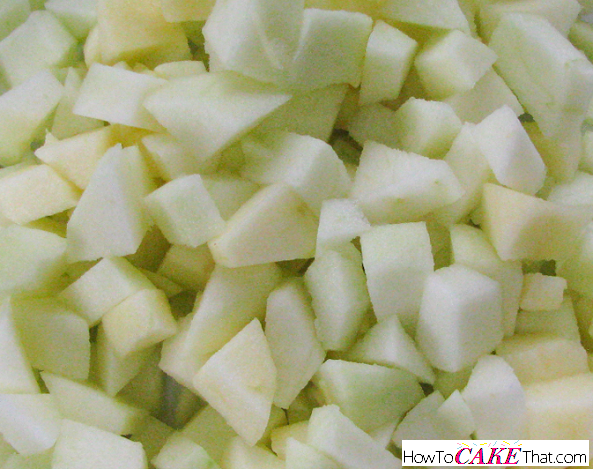 Peel skin off of apples, remove core, and chop apples into small bits and pieces. Now back to the sauce mixture. 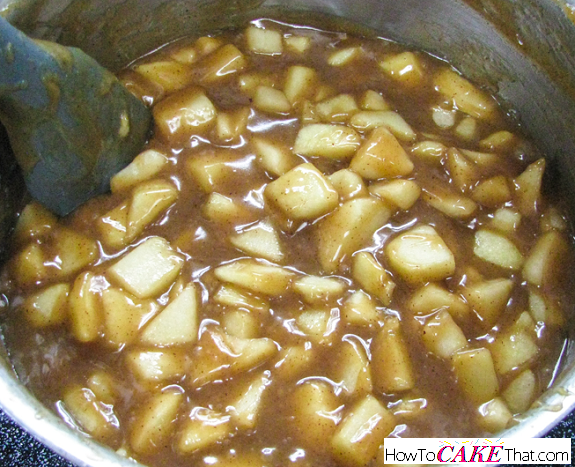 Add 3/4 teaspoon McCormick apple pie spice to the sauce mixture. 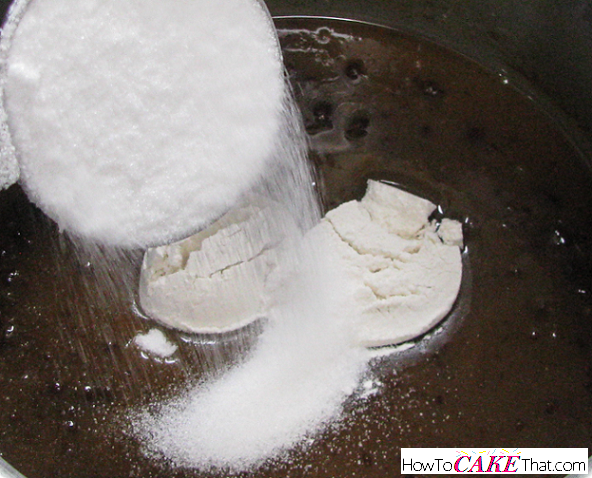 Add 2 tablespoons of all purpose flour to the sauce mixture. 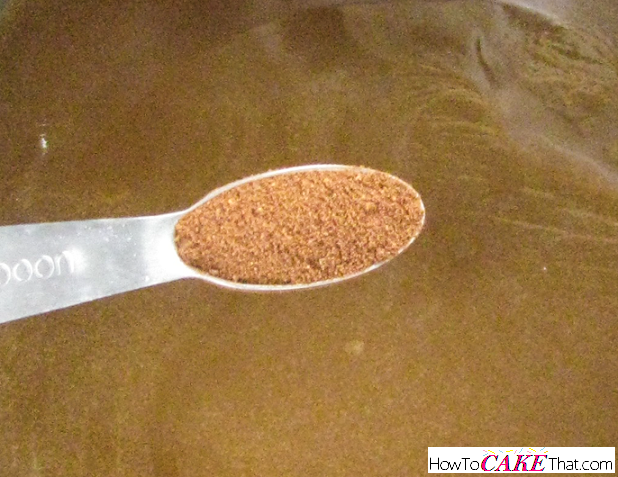 Add 1/4 cup of granulated sugar to the saucepan. Using a rubber spatula, stir all ingredients together. And finally, add apple pieces to the saucepan. Stir all ingredients together. Return saucepan to burner and cook on medium-high heat for 10 - 12 minutes, then reduce heat to low and continue cooking for 6 - 8 more minutes, or until apples are soft. 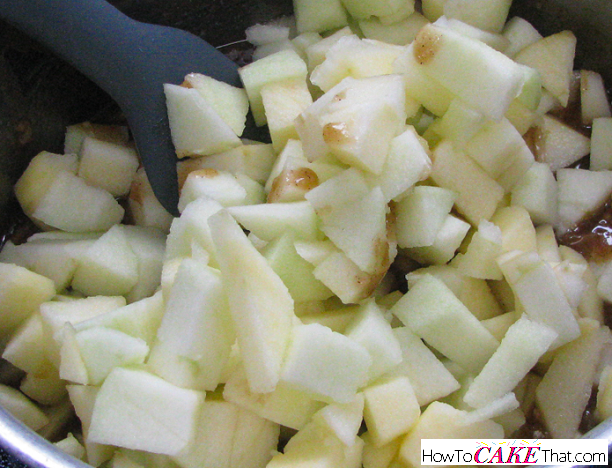 Store apple filling in the refrigerator in an airtight container for up to 4 days, or freeze for up to 3 months.